“You will be interested to hear of an experience I had this week. Two men about forty years of age, poorly dressed, came to see me during the week. They told me they had lost their faith, and yet they could not turn to any of the other sects or religious organizations they knew. Mr. Braun (as one was called) had prevailed upon his friend, Mr. Fascher, to come and see me. He told Mr. Fascher that he knew of our church and that we would help them. Fascher objected strenuously for two days, but finally came along. “Mr. Braun began by saying that he was standing on a street corner one day when he noticed hundreds of people going by. He asked one where he was going, and he said, ‘To see the Prophet.’ Mr. Braun went along. It was the dedication of the meetinghouse in Berlin-Charlottenburg, and the Prophet was Brother McKay. “Mr. Fascher told me that Braun could say nothing but words of amazement and wonderment at the man he had seen. The two sat in my office and listened intently to the message of the restoration which I gave them, as if hanging on every word. They were penniless and miserable, but they were humble and dissatisfied with the churches of men. I lent them a Book of Mormon, and they promised to be to church Sunday. I believe these two men (both Russian war prisoners) are ready for the gospel. President McKay followed the Savior’s admonition: “Let your light so shine before men, that they may see your good works, and glorify your Father which is in heaven” (Matthew 5:16). We influence others by what we say, what we do, and who we are. Every person who lives in this world wields an influence, whether for good or for evil. It is not what he says alone, it is not alone what he does. It is what he is. Every man, every person radiates what he or she is. Every person is a recipient of radiation. The Savior was conscious of that. 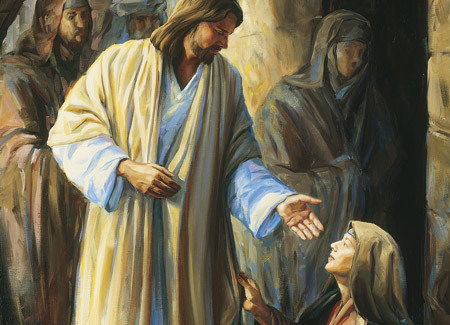 Whenever he came into the presence of an individual, he sensed that radiation—whether it was the woman of Samaria with her past life; whether it was the woman who was to be stoned or the men who were to stone her; whether it was the statesman, Nicodemus, or one of the lepers. He was conscious of the radiation from the individual. And to a degree so are you, and so am I. It is what we are and what we radiate that affects the people around us. Latter-day Saint homes can be examples of harmony and love. If we live according to our beliefs, our good example will anchor the Church and be a light to the world. Let your light so shine among men that they seeing your good works may be led to glorify our Father which is in heaven [see Matthew 5:16; 3 Nephi 12:16]. In probably no more effective way can the truth be witnessed before men than for every Latter-day Saint to maintain and foster the confidence of our outside friends in a faithful member of the Church of Christ. May there come into everyone’s heart, and into all our homes, the true spirit of Christ, our Redeemer, whose reality, whose inspiring guidance I know to be real. Why is it important to remember that “the effect of our words and acts is tremendous in this world”? (See pages 227–28.) How have you seen that small acts of righteousness can have a far-reaching influence? In what ways do our thoughts and actions influence what we radiate to others? Who are some people whose examples have influenced you? Why have these people been so influential in your life? In what ways can our example make a difference in our homes, workplaces, and communities? (See pages 230–31.) What can you do today to radiate the light of Christ in your life? Why is example an important part of missionary work? What experiences have you had in which Latter-day Saints’ good examples have inspired others to investigate the Church? In Conference Report, Apr. 1953, 138. Quoted in Cherished Experiences from the Writings of President David O. McKay, comp. Clare Middlemiss, rev. ed. (1976), 109–10. Arch L. Madsen, quoted in “Memories of a Prophet,” Improvement Era, Feb. 1970, 72. In Conference Report, Apr. 1963, 129. 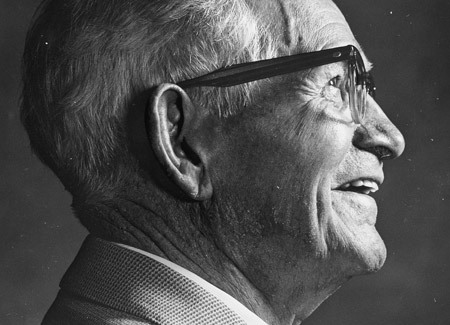 “Talk by President David O. McKay Given to the North British Mission 1 March 1961,” Family and Church History Department Archives, The Church of Jesus Christ of Latter-day Saints, 3. In Conference Report, Apr. 1953, 137. In Conference Report, Apr. 1963, 129–30; paragraphing altered. In Conference Report, Oct. 1967, 152. In Conference Report, Oct. 1922, 78. In Conference Report, Apr. 1912, 57. In Conference Report, Oct. 1910, 48–49; paragraphing altered. In Conference Report, Apr. 1968, 94. In Conference Report, Oct. 1967, 149.